Speck products, The Presidio Sport Series Case for Apple iPhone XS Max. Matte Red finish with Black and Gray trim. - Presidio SPORT cases have a grippy silicone exterior, a polycarbonate outer shell, and inner IMPACTIUM lining for three layers of protection in a one-piece case. 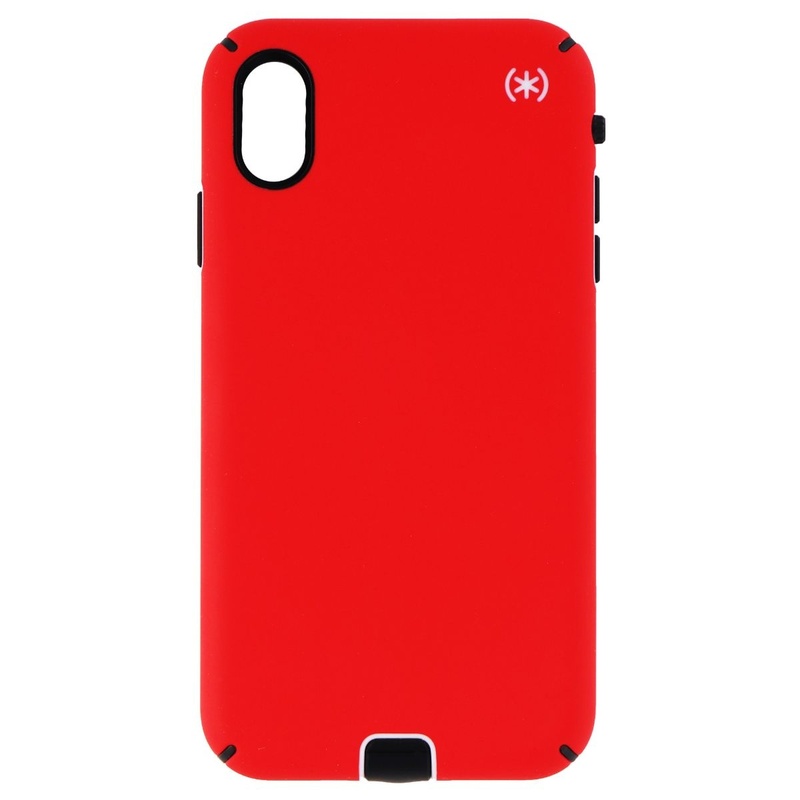 - Microban anti-microbial technology protects your phone against hostile bacteria growth that causes odors and stains. - 360-degree port protection for port and button covers and a mute switch dial protect while keeping them accessible. - No-slip silicone exterior - IMPACTIUM Sport provides a no-slip grip, even when your hands are sweaty. - 12-foot drop tested with IMPACTIUM Shock Barrier - Ridges of IMPACTIUM material on the inside perimeter of this Presidio case compress on impact to absorb and disperse shock.